Posted: Saturday, April 13, 2019. 12:16 pm CST. 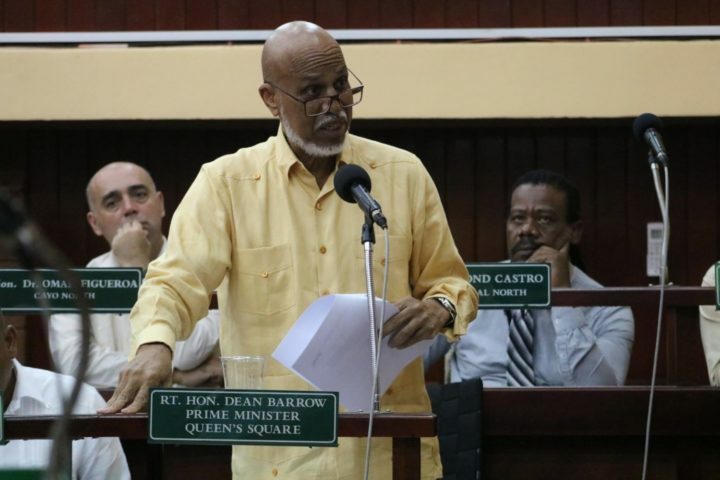 By Aaron Humes: Late on Friday evening after hours of debate in the House of Representatives, a division was called on the Belize (Territorial Dispute) Referendum Bill, 2019. The voting went mostly along party lines, with one abstention as expected from Rt. Hon. Said Musa, and the absence once again of Orange Walk North’s Gaspar Vega. The Bill now heads to the Senate for a debate and vote on Monday, but not without leaving in its wake terrible recriminations. Musa’s decision brought immediate backlash on social media. Inside the House, the Opposition gallery was stonily silent while the Government end saw raucous applause and cheers echoed by their parliamentarians throughout Musa’s speech. Espat also made note that the Supreme Court case filed by him and four other parliamentarians as well as standard bearer Anthony Mahler is still active and will be pursued. It is scheduled to be heard again on Monday at the same time as the debate in the Senate. Deputy Prime Minister Patrick Faber’s presentation mostly consisted of outlining the many ways in which the two parties have collaborated in trying to end this issue, now seemingly torn away by the P.U.P.’s intransigence. He was responding to the P.U.P.’s Cordel Hyde, who insisted that he had never seen this level of indecision from the Belizean populace on an issue as important as this one. Minister of Foreign Affairs Wilfred Elrington praised Musa’s statesmanship even as he tried once again to atone for referring to the Belize-Guatemala border as ‘artificial,’ defined internationally as having been constructed without recourse to natural boundaries such as rivers. The Sarstoon technically defines Belize’s southern boundary with Guatemala but they claim it and Sarstoon Island. The margin for error in the Senate will be smaller, as the Government’s six Senators are nominally outweighed by the three in Opposition and the four social partner Senators. Business Community Senator Mark Lizarraga has appeared at the court cases in the Supreme Court and Court of Appeal but the others – Ashley Rocke, Osmany Salas and Elena Smith – appear to be keeping their own counsel. But the P.U.P.’s Valerie Woods is also on record as supporting a referendum and a ‘yes’ vote. BBN will have all the highlights from the Senate debate on Monday.